Native New Mexicans - Native American Medicine Co. There are 23 Indian tribes located in New Mexico – nineteen Pueblos, three Apache tribes (the Fort Sill Apache Tribe, the Jicarilla Apache Nation and the Mescalero Apache Tribe), and the Navajo Nation. The Zuni are a Native American tribe, one of the Pueblo peoples, most of whom live in the Pueblo of Zuni on the Zuni River, a tributary of the Little Colorado River, in western New Mexico, United States. Zuni traditionally speak the Zuni language, a unique language (also called an “isolate”) which is unrelated to any other Native American language. The Zuni continue to practice their traditional religion with its regular ceremonies and dances and an independent and unique belief system which consist of six sects: the Sun, the Rainmakers, the Kokko (spirit beings), Priests of the Kokko, War Gods, and Animal Beings. Their use of fetishes is extensive and complex. The most common Zuni fetish is the mille, a personal fetish which is given to a individual when they join a religious group, which the individual will keep for life. Each fetish has a specific purpose, like protection against witchcraft, luck in gambling, use in war ceremonials, and curing illnesses. The Zuni are known for their amazing fetishes, which makes this tribe the number one leader in fetish sales. 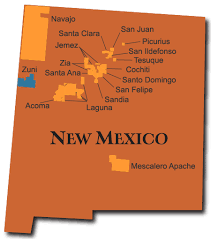 The Zuni Reservation lies in the Zuni River valley and is located primarily in McKinley and Cibolacounties in western New Mexico, about 150 miles (240 km) west of Albuquerque. There are also several smaller non-contiguous sections in Apache County, Arizona, northwest of the city of St. Johns. The main part of the reservation borders the state of Arizona to the west and the Ramah Navajo Indian Reservation to the east. The main reservation is also surrounded by the Painted Cliffs, the Zuni Mountains and the Cibola National Forest. 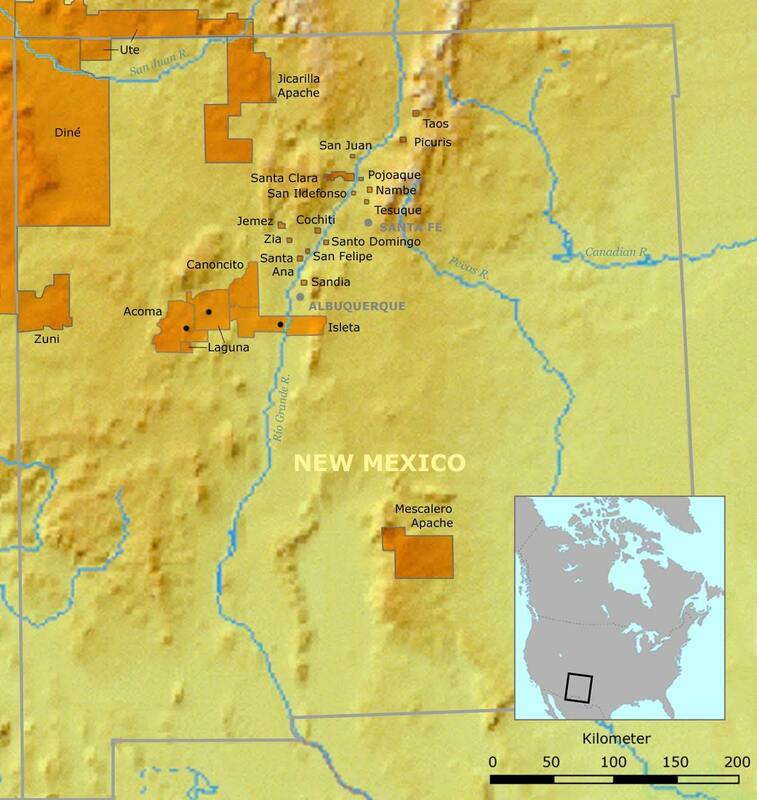 The reservation’s total land area is 723.343 sq mi (1,873.45 km²). The Zuni Tribe also has land holdings in Catron County, New Mexico and Apache County, Arizona, which do not border the main reservation. The Hopi are native American people who primarily reside on the Hopi Reservation in northeastern Arizona. The Hopi Reservation is entirely surrounded by the much larger Navajo Reservation. 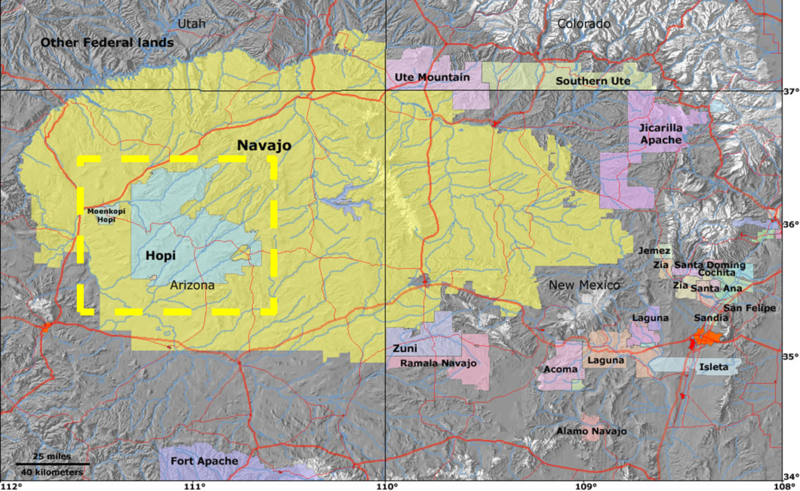 The two nations used to share the Navajo-Hopi Joint Use Area. The partition of this area is commonly referred to as Big Mountain. Hopi fetishes are usually used for healing, protection of their crops, fertility for their livestock, and protection for tribe. They use livestock fetishes for protection and fertility of their horses and cattle. Puma fetishes are very popular among the Hopi tribe to help with personal well-being and treatment of illnesses. A majority of the Hopi fetishes have been stolen over the years and are now in the hands of private collectors. The Navajo or Dinch of the Southwestern United States are the largest native American tribe of North America. The Navajo Nation constitutes an independent governmental body which manages the Navajo Indian Reservation in the Four Corners area of the United States. The traditional Navajo language is still largely spoken throughout the region, although most Navajo speak English fluently. Navajo refer to themselves in their native language as Diné, which is translated as “the People” in English.